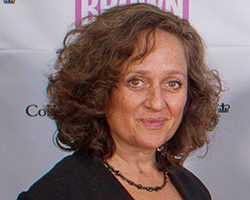 Lisa R. Cohen is the Director of Prizes administering the duPont-Columbia Awards, and an adjunct Professor teaching broadcast and video journalism. Cohen is also an Emmy award winning former network television news producer, documentary filmmaker, and book author. She was Director/Producer/Writer of the 2011 verité documentary “Serving LIfe,” in collaboration with Executive Producer Forest Whitaker, which aired as part of the Oprah Winfrey Network’s Documentary Club. She also spent more than two years documenting the experiences of a cancer patient-turned-advocate in the intimate film “The Education of Dee Dee Ricks,” which premiered at the Tribeca Film Festival and then aired on HBO. During that time, she also authored the critically acclaimed "AFTER ETAN: The Missing Child Case That Held America Captive," after decades reporting on the celebrated, culture-shaping Etan Patz case. She has taught at Princeton University as a Ferris teaching fellow. Cohen grew up in Winnipeg, Manitoba and Philadelphia, and lives in New York City with her family.